The cool thing about the BMW M3 forums, is there are people with money that sell stuff for great deals! I recently sold my Work wheels and I was itching to get another set of rims. 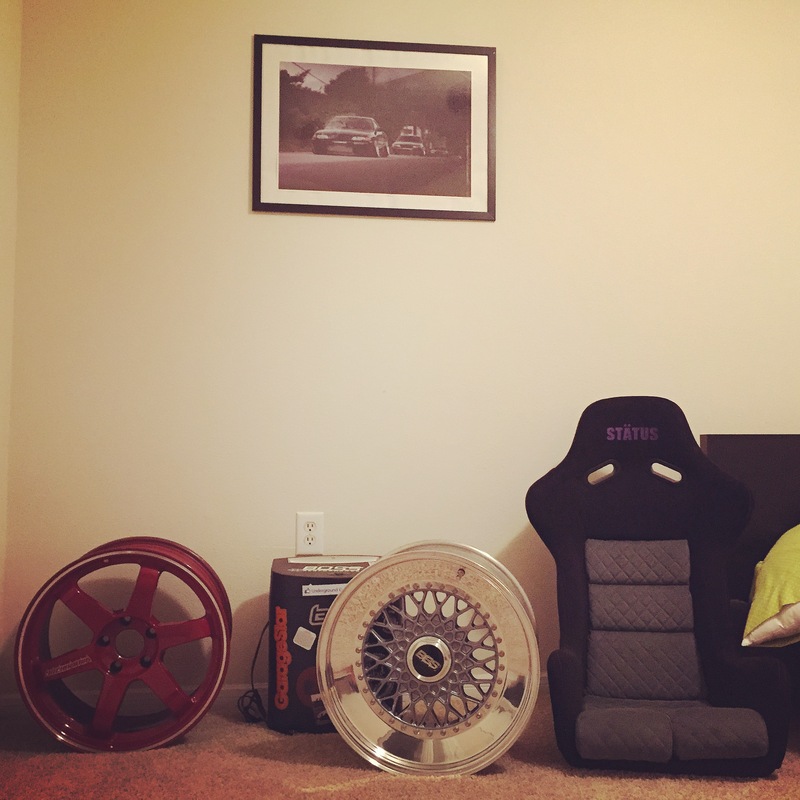 While I was browsing the forums I found a great deal on some Volk TE27RT! The RT means ridged tuned which is stronger than the TE37SL but weighs the same. 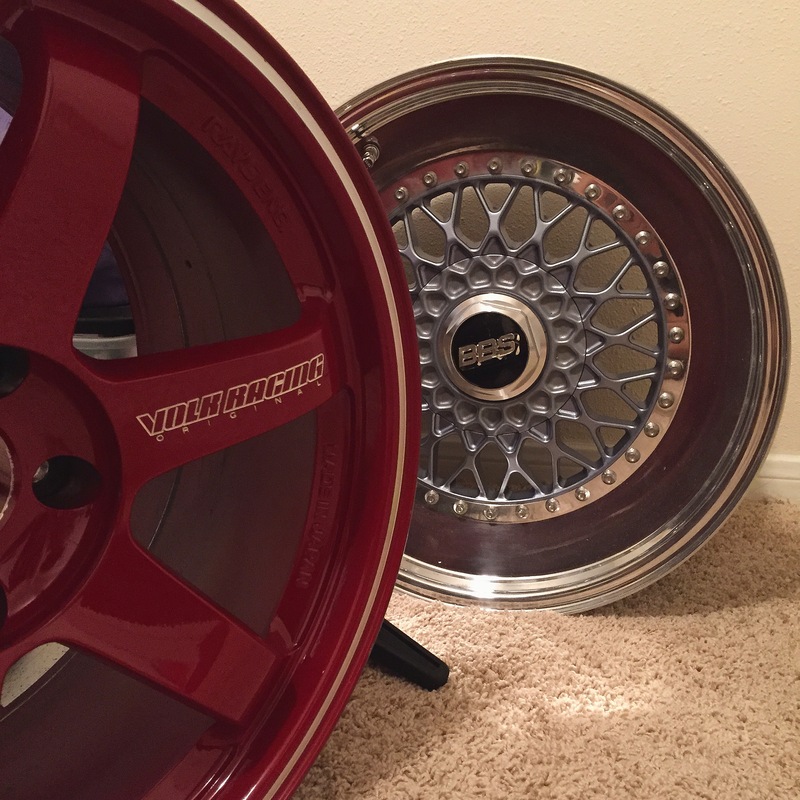 Better yet the TE37RT come in the red with the VOLK logo stamped and engraved on the rims. Volk is starting to do this to avoid the knock offs just putting “volk” stickers. The specs are 18×10.5 et21 squared fitment! I saw these online and I had to buy it. When I got the rims I was surprised they were sooo light. I should have used a weighed them but I can assure you it felt lighter than my 18×10 BBS RS (which is 20lbs). I can see the racing development trickle down to the public market. You tell and feel the difference between the knock off and the legit. I don’t really like knock off because they go down in value fast and they just look tacky. Wheel whoring. 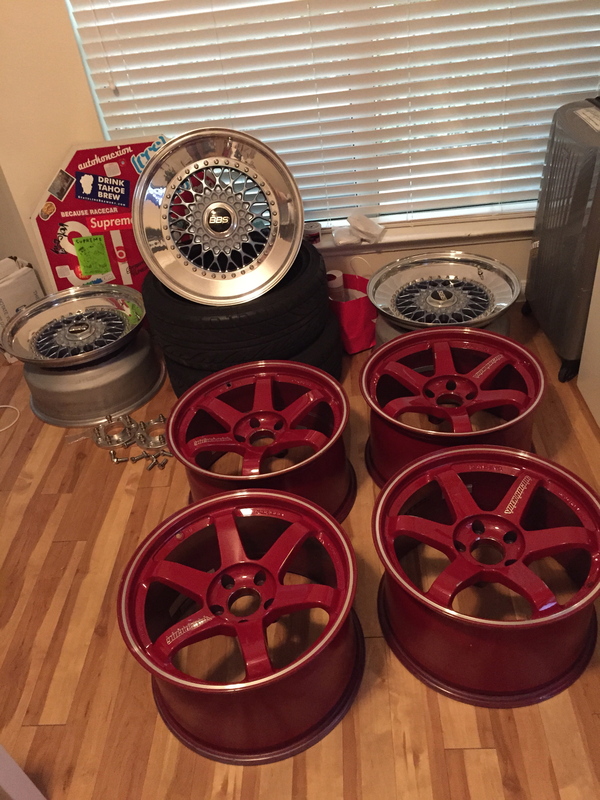 The BBS RS are still for sale btw. The M3 also needed to have a brake service soon. I have Akebono pads on the 335i and it proved to be a good daily with confidence in stopping and less brake dust. 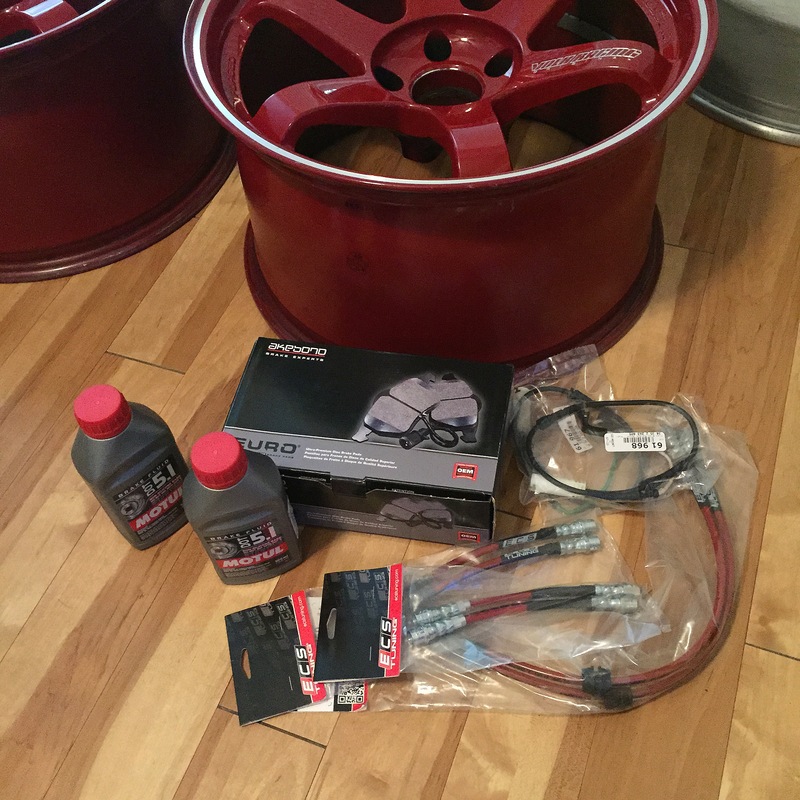 Naturally, I bought Akebono carbon ceramic brake pads, ECS tuning stainless steel brake lines, and Motul brake fluid. Thankfully the rotors didn’t need to be replaced, the OEM replacements cost $495 brand new each. 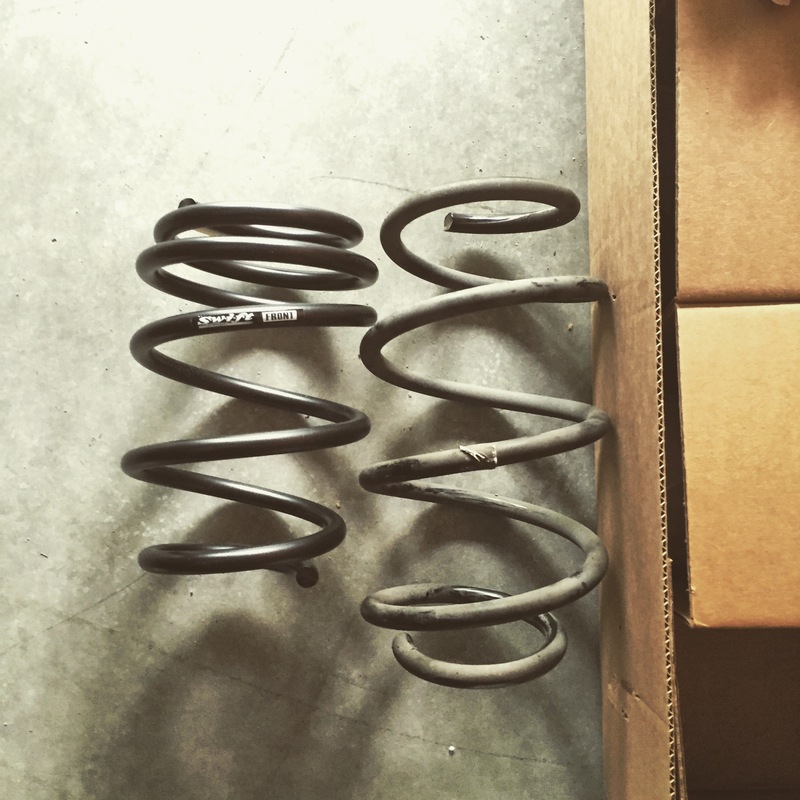 I also got Swift Spec R springs 5kg front and 12kg rears. I wanted to get coilovers but the M3 comes stock with adjustable dampers and I didn’t want to lose that function or have the stupid suspension light on my dash. 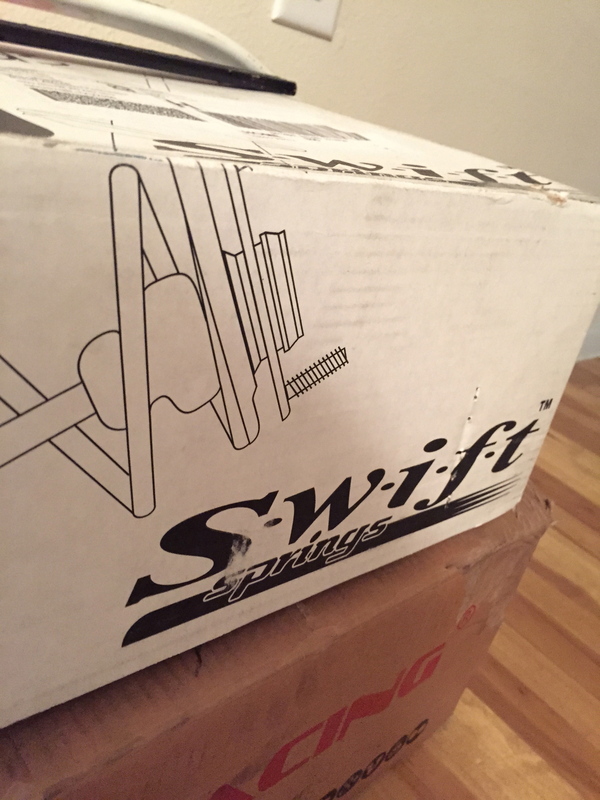 You can the Swifts are shorter but have more coils, for a more firmer ride. The drop is roughly 1″ fronts and 0.6″ rears. Very conservative and wasn’t slammed like the GTI and Miata. I guess as you grow older your taste changes but I still respect the slammed car out there. I get it and its a style. I was still in my scrubs, after a 12hr shift, when I went to Fenando’s shop. His shop is brand new and some of the lifts and alignment rack isn’t up because he is waiting to the permits to finish. But he was able to manage with jacks and array of tools with cordless impacts. I hope his business takes off because he does a good thorough job with his work! He a mechanic that can takes pride in his work and doesn’t rush things just to get the job done. As you can see the (right) has some life in it but barely. 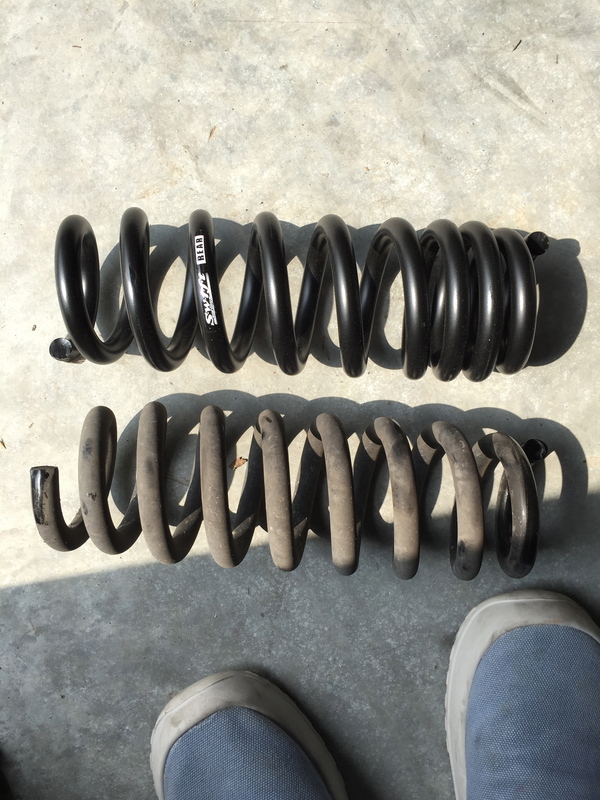 The Akebonos (left) are thicker and produce less brake dust and noise than the OEM units. I honestly didn’t feel a difference in stopping power with the Akebono pads and SS lines. 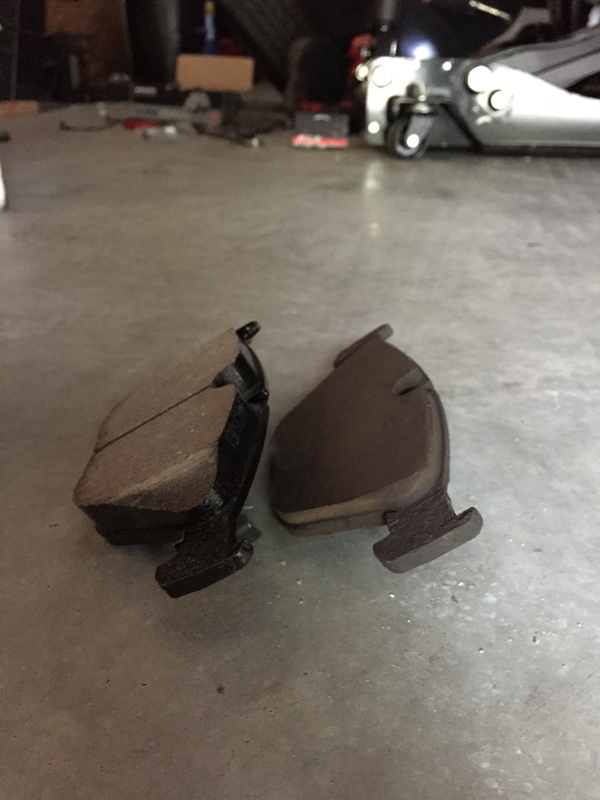 The stopping felt stock but at least I know the pads doesn’t produce much dust and noise compared to OEM. Besides its a M3, the OEM brakes are more than adequate at stopping then most stock cars. I know SS lines help improve brake feel after repeated abuse but I haven’t taken the M3 to the track to test that. 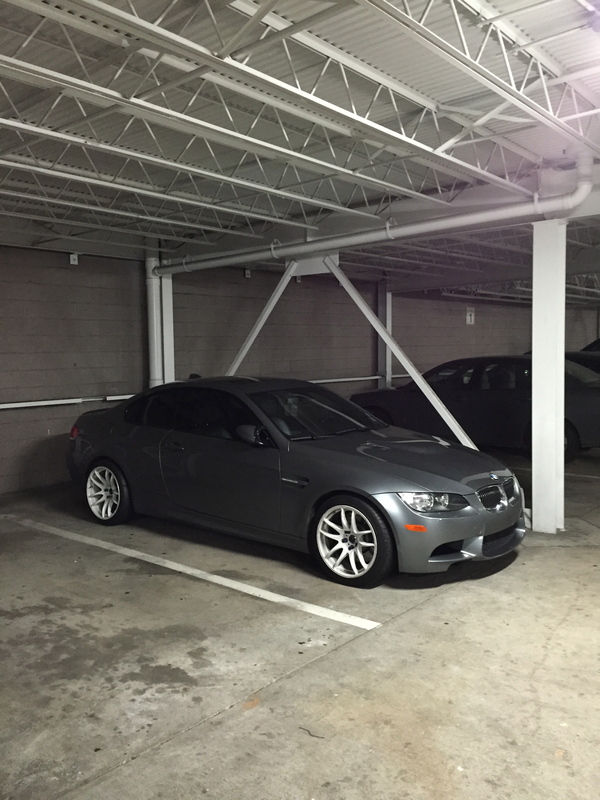 So far, after a month of owning the M3, it has been great and minimal cost to service. I know the dealer will charge a lot but if you find a mechanic or shop that you trust then it will be much cheaper. I didn’t have to get the Volks or Swift springs but wheels and drop didn’t hurt anyone. Plus it looks great more on that later…. 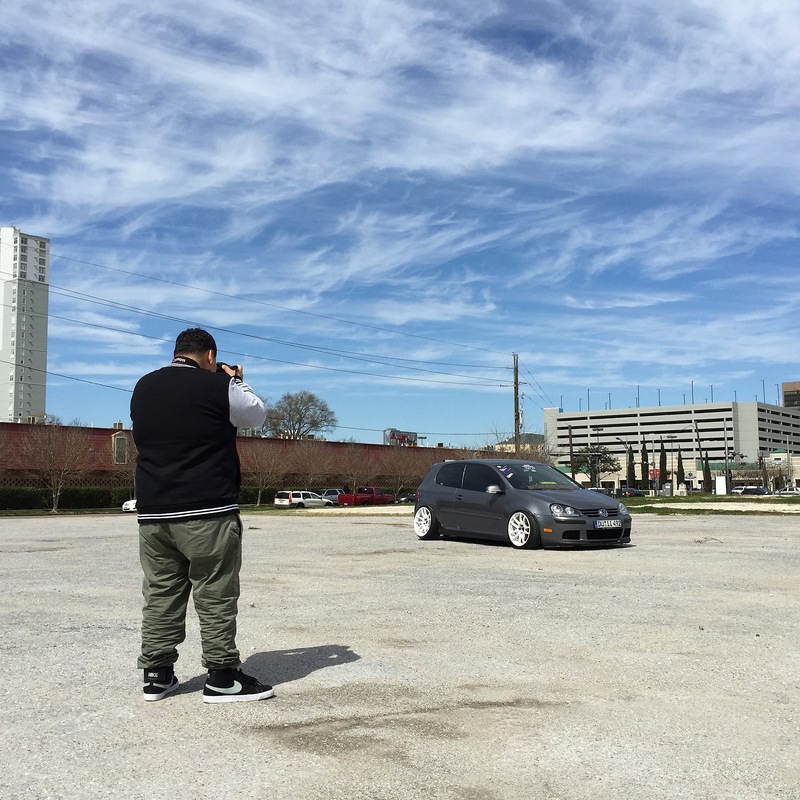 Just before I sold the GTI, I was given an opportunity for a Slammedenuff feature. How I got the feature was interesting actually. I was at the Houston Auto Show, and Alex Fuentes, photographer for Slammedenuff and founder of Cars in Houston, noticed my car at the parking lot. I just saw a car following me and I gunned it leaving the parking haha. Later he actually contacted me through Instagram lol. After several attempts to set up a shoot, we able to set a date that would work for both of us. I was already thinking about selling the GTI and buying an m3, but I figured if I did, at least the GTI was able to get a feature and something to show my future kids and grandkids. Well since I parted out my cars to get the M3. I had some Work Kiwiamis that was just lying around, so I slapped them on the M3.